4.5 miles beneath the sea – LIFE! A new species has been discovered in a part of the ocean previously thought to be entirely free of fish, scientists said today. 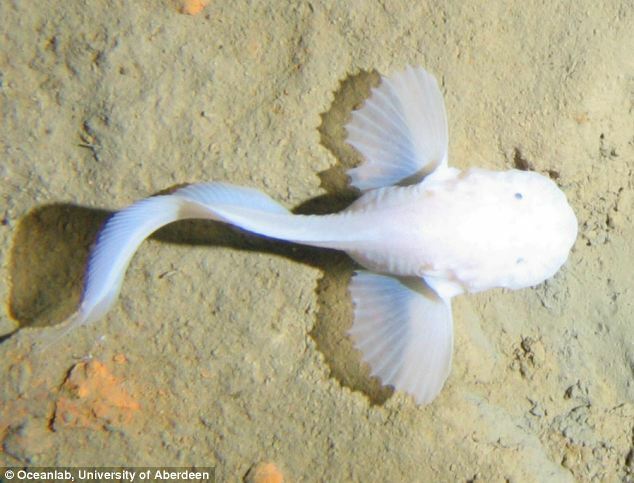 The new type of snailfish was found living at a depth of 22,966ft in the Peru-Chile trench of the South East Pacific Ocean. Mass groupings of cusk-eels and large crustacean scavengers were also discovered living at these depths for the first time, scientists said. The findings, in one of the deepest places on the planet, were made by a team of marine biologists from the University of Aberdeen and experts from Japan and New Zealand. The team took part in a three-week expedition, during which they used deep-sea imaging technology to take 6,000 pictures at depths between 14,764ft and 26,247ft within the trench. between the University of Aberdeen’s Oceanlab and the University of Tokyo’s Ocean Research Institute, supported by New Zealand’s National Institute of Water and Atmospheric research (NIWA). The University of Aberdeen said these latest discoveries helped shed new light on life in the depths of the Earth. Oceanlab’s Dr Alan Jamieson, who led the expedition, said: ‘Our findings, which revealed diverse and abundant species at depths previously thought to be void of fish, will prompt a rethink into marine populations at extreme depths. 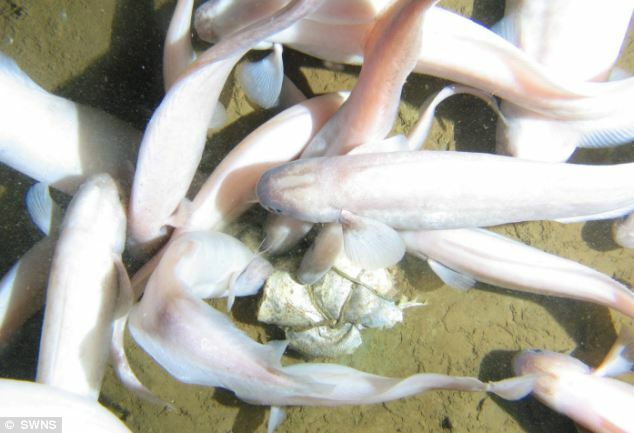 ‘This expedition was prompted by our findings in 2008 and 2009 off Japan and New Zealand where we discovered new species of snailfish known as Liparids inhabiting trenches… at depths of approximately 7,000 metres – with each trench hosting its own unique species of the fish. 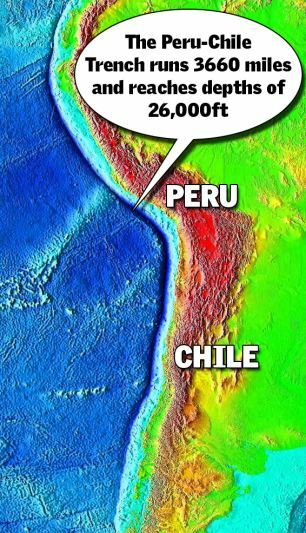 ‘To test whether these species would be found in all trenches, we repeated our experiments on the other side of the Pacific Ocean off Peru and Chile, some 6,000 miles (9,656km) from our last observations. The discovery could mean that there are thousands more unknown fish in hidden depths in the world’s ocean. Dr Jamieson said: ‘What we found was that indeed there was another unique species of snailfish living at 7,000 metres – entirely new to science – which had never been caught or seen before. ‘A species of cusk-eel – known as Ophidiids – also gathered at our camera and began a feeding frenzy that lasted 22 hours – the entire duration of the deployment. ‘Further research needs to be conducted to decipher whether this is also an entirely new species of cusk-eel that we have discovered. ‘Our investigations also revealed a species of crustacean scavengers – known as amphipods – which we previously did not know existed at these depths in such great numbers. I always motivated by you, your opinion and attitude, again, appreciate for this nice post.